Chromebooks: the flop of 2011? Google's Chromebook initiative appears to be a damp squib. 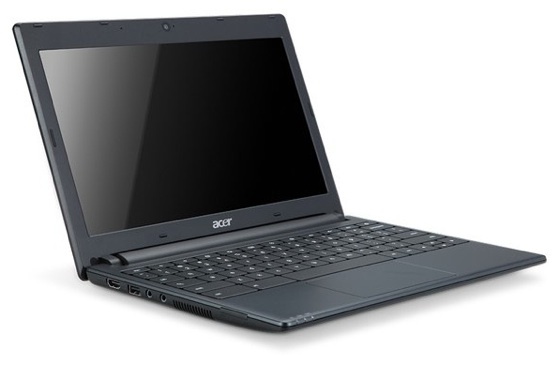 Launched in May 2011, Chromebook sales are unlikely to exceed 30,000 units, despite backing from Acer and Samsung. So says DigiTimes, in a story about phone maker HTC wondering whether it should adopt Google's Chrome OS for internet gadgets of its own. Compare that figure with the 211m laptops forecast to have shipped this year and the 59m tablets. Neither Acer nor Samsung have yet confirmed the claimed sales figure. But Chromebook has at least one other backer: UK retain chain Dixons. Mark Slater, head computer buyer at Dixons Retail, reckons that "Chrome could be circa ten per cent of our computing business this time next year", the Telegraph reports. There's a catch: Slater's forecast is contingent on "the right mix of hardware partners and a much greater consumer push with regards to the benefits [of Chrome OS]". But, he adds: "It's not inconceivable for Google to push Chrome much harder before the arrival of Windows 8 next Autumn". Google pitches Chrome OS as a desktop operating system with tight cloud integration, but in the popularity stakes it trails far behind Android, the company's mobile operating system. A very slim, store-all-your-data-on-the-net device has a certain appeal to techies, but mainstream consumers are more likely to prefer Windows-based netbooks with beefier specs - especially when the Chromebook has no real price advantage. Worse, the machines were launched when buyers were turning their backs on the netbook and shifting toward tablets. Chrome OS may never change the world, but with both Mac OS X and Windows 8 becoming more cloud-centric and adopting UI features from tablets, it's easy to envisage slimline machines from Apple and Microsoft's OEM partners running mainstream operating systems - perhaps there'll be Android-based laptops alongside them - designed to access data held online not locally.